Every year the holidays seem to come earlier and earlier, but if you’re planning on hosting any holiday parties or having friends and family crash at your digs, it’s best to start getting things together so you can actually enjoy yourself when the time comes. So to help you out, I’ve put together a list of double duty holiday decor: beautiful things that make the holidays a little bit sweeter, but aren’t holiday-specific. These goodies will last you through the Winter season and then some. Think of them as gifts to yourself that keep on giving. I’m a huge fan of the bar cart. Full disclosure: I have yet to own one myself. 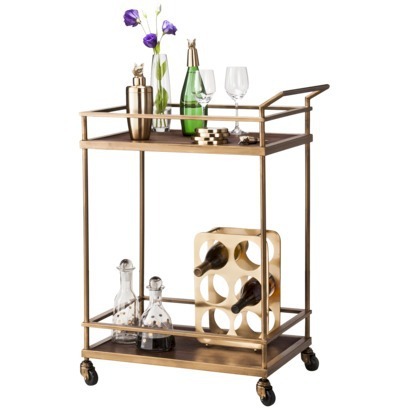 However, I’m five minutes away from getting the Threshold Wood and Brass Finish Bar Cart from Target. This thing is versatile enough to be used as a kitchen cart or a bookshelf when the party’s over. My aunt had the cutest napkins with turkeys on them when she hosted Thanksgiving this year and it made me smile, so to pay it forward, I found these. 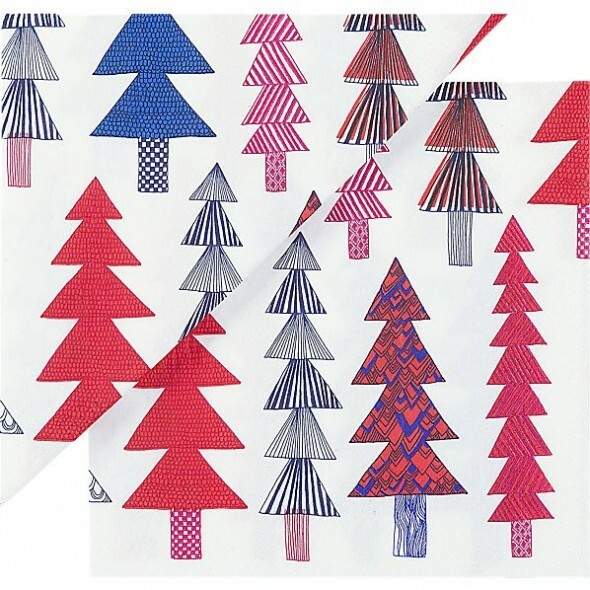 The Marimekko trees are a non-committal holiday napkin print that work for any Winter celebration. Tired of everyone having to throw their jackets on some bed? 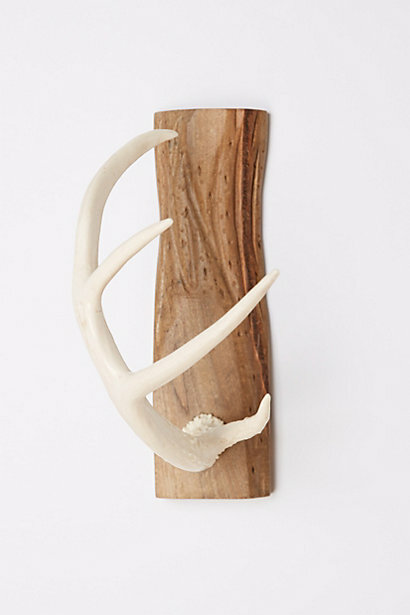 Anthropologie’s Antler Wall Hook adds an instant ski lodge look while keeping everything organized. If you own an air mattress, please do all of us guests a favor and throw it away already! Unless space is an issue, we would like something that doesn’t feel like sleeping on…air. 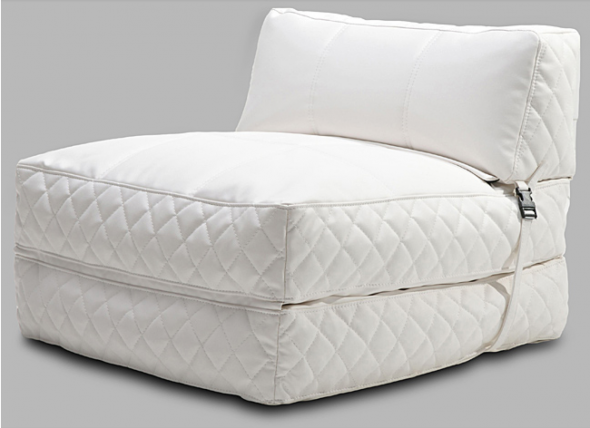 The Austin White Bean Bag Chair looks like something I could sleep late on, and look fashionable while doing it. Its modern white quilty look makes this a year-round chair that doesn’t need to be stuffed in a closet when guests go away. 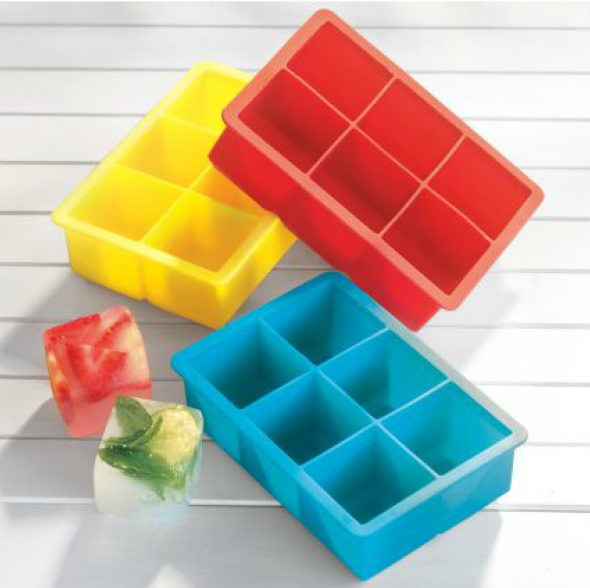 This King Cube Ice Tray may look unassuming, but it makes everything better. When I first discovered this gadget, I ended up getting several for myself and a few lucky people as a “just ’cause” gift, and they love me forever because of it. It produces extra large ice cubes that melt at a glacial pace (sans global warming). Also, these are the kind of ice cubes served with an overpriced drink at a gorgeous bar – throw these in an ice bucket at your next party and your guests will definitely notice. Music seems to be an afterthought at many a family holiday gathering. 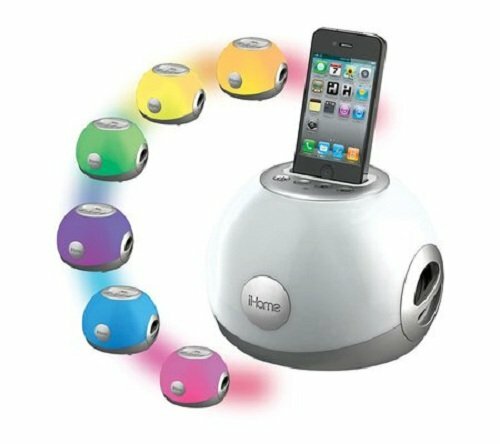 But the right music can really set the mood, especially when you (or other guests who like to DJ) can easily stick an iPod or iPhone into this fun color changing speaker. 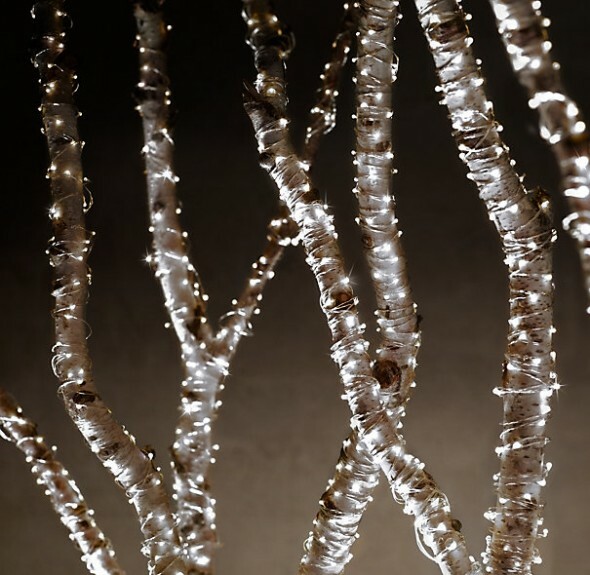 Christmas lights are not just for the tree anymore, like these Starry String Lights from Restoration Hardware that I’ve been drooling over forever. I want to cover everything I own in this stuff. Take that, Australian family whose Christmas light display can be seen from space. Happy holidays, and don’t forget to treat yourself!